Keep your favorite rings safe but accessible with this beautiful non-lead crystal ring holder. Simply slip the rings off your fingers and onto the cone at the center of the dish. You’ll never have to worry about losing a ring down the kitchen drain! What’s more, the Adorn ring holder is an attractive accent piece for your dresser or nightstand. 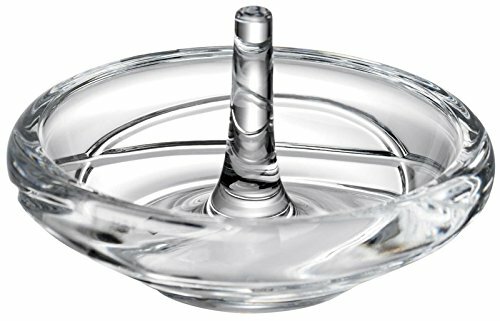 Buy Adorn Crystal Ring Holder by Lenox at Discounted Prices ✓ FREE DELIVERY possible on eligible purchases.